Those awaiting news about Karma Automotive’s new Revero model have some exciting updates to chew on. For starters, solar panels on the roof are expected to generate sufficient energy to fully power the car. 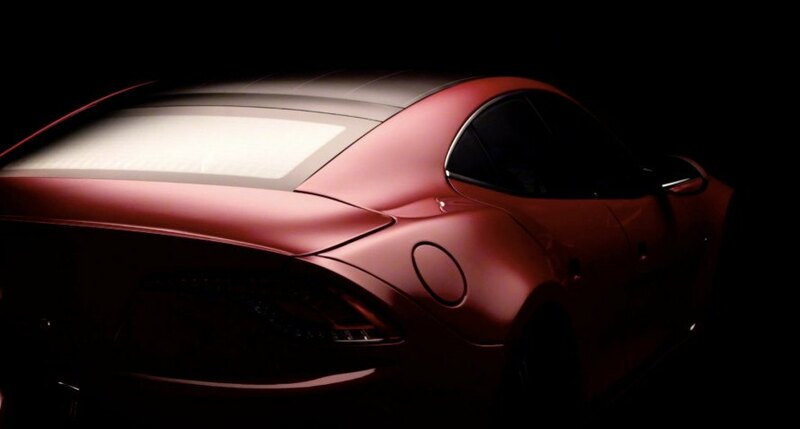 A teaser released by the company sheds more light on what aspiring Revero owners can expect – take a look after the jump. Karma Automotive says the solar panels on the Revero’s roof “will create enough energy to power the car.” An individualized, hand-painted Karma badge is another unique feature – a detail so exclusive no other car manufacturer can make the same claim. Lastly, the updated “infotainment” system is described as “simple, intuitive, and beautiful,” sans a thick and burdensome owners manual. You only get 140-160 W per m^2 of area. The tiny tesla roadster had a 53kWh battery and the model has an 85 kWh battery. Assuming they get great efficiency out of the maybe 4 m^2 you are looking at .64 kW so to get 53 kWh this needs to charge for almost 3.5 days. What's the magic here? This sounds like they are full of it. New details of the Karma Revero reveal how the car can run on energy from its solar powered roof. The Karma Revero also features an upgraded infotainment system and hand-pained badge.